Sara received her M. Ed. in Counselling Psychology from McGill University in 1998, and completed a joint major in Women’s Studies and Psychology at Simon Fraser University in 1996. She completed Advanced EMDR training (Level II), and earned the Trauma Intervention and Counselling Certificate with the Justice Institute. 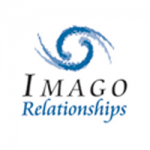 She is an Advanced Certified Imago Relationship Therapist and a Level II Developmental Couples Therapist. She completed the training for Discernment Counselling (2013). As per best practises standards, She has undertaken clinical supervision for all of her counselling work. Open this link to view her life-long commitment to her own personal and professional growth. Registered Clinical Counsellor (RCC) with the B.C. Association of Clinical Counsellors, bound by their Code of Ethical Conduct & Standards of Clinical Practice. ICBC Vendor A167845 (Part 7 benefits, which can include counselling).